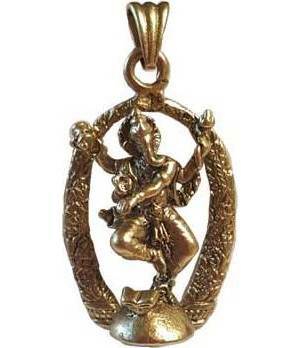 Wear the power of the Lord Ganesha's blessing, with this lovely brass plated pendant of the "Dancing Ganesha". Pendant measures 1 1/2" long x 1" wide. made in India.